Okay. Now I know that Star Wars toys have done just about everything they can do. 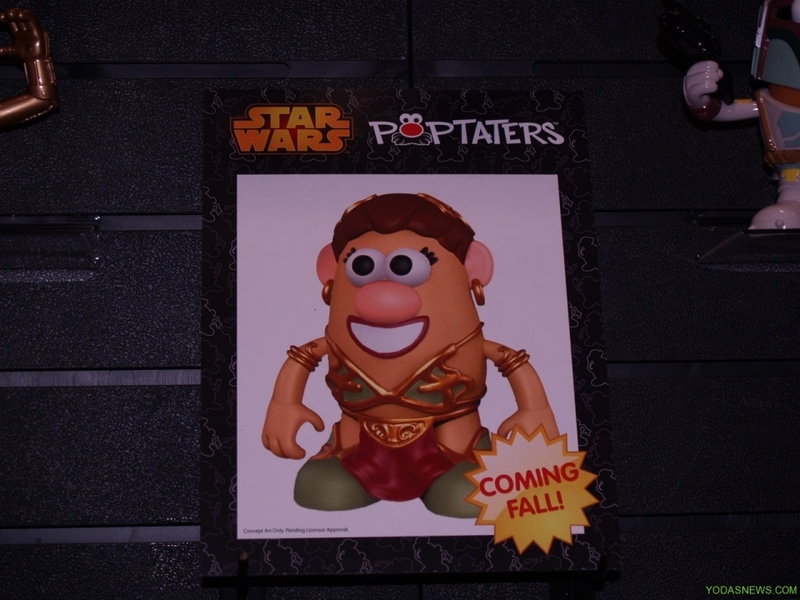 They have finally jumped the Left Shark with the Slave Leia Poptater. Yes, you read that right. Basically this is a Slave Leia Mr. Potato Head toy. Poptaters are apparently just like Mr. Potato Head toys, only larger and geared more toward collectors. This is the first I’ve heard of them. I guess you can swap Slave Leia’s outfit with Boba Fett’s armor and make your own Slave Boba. I have no idea. All I know is that there are some very strange toys coming our way. Head on over to Yoda’s News to see a bunch of other Potato themed toys coming soon.